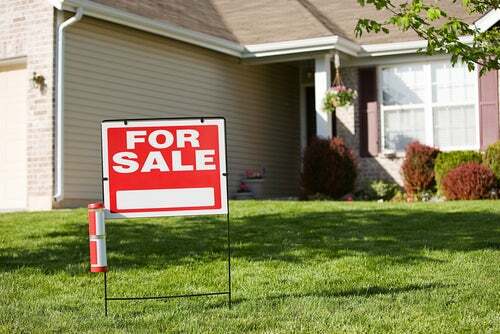 New Year, New House: Should You Sell? The real estate market has seen a steady improvement since the housing crash of 2008. As home values increase, many owners are weighing the benefits of selling. Real estate can have a polarizing effect on your credit: a wise investment can lead to greater profits, more options and financial strength. On the other hand, a poor choice can yield the opposite results. Consider the following points as you move forward in the selling process — they will help you make the right decision. Closing costs. Once you’ve paid off your old mortgage, you’ll still need to pay your agent’s selling commission, usually between 5 and 8 percent of the home’s purchase price. In the Carsons’ case, they pay 6 percent, or $17,340. Moving expenses. Hiring movers sets the Carsons back $1,200. They own several pieces of furniture that are too heavy to carry themselves. Recouped expenses. Although it appears as though the Carsons will earn a profit, they are forgetting the initial equity invested in their home, a 20 percent down payment valued at $50,000. The Carsons will not earn a genuine profit until they recoup this investment. Inflated buying prices. For the Carsons, moving across town means paying more for a new home. This also means a higher down payment and monthly mortgage cost. While there is no perfect profit amount, it’s important to decide how much you need to earn before you consider selling your home. This will help you budget for a new house and protect your credit in the process. Your credit score is solid. Selling your home may provide financial security, but it won’t help your credit score. Suppose your FICO score is hovering around 680. Selling your home is a wise move and you’ll earn at least $60,000 after paying off the additional costs. That said, your credit score is lower than it was when you bought your first house, which means you may have trouble finding a desirable interest rate. Increasing your score by as little as 20 points could save you thousands of dollars over the life of your mortgage loan. Learn about the Five Factors of credit scoring and consider improving your credit six to nine months before applying for a new loan. Adriana is a 24-year-old CPA. She wants to buy a home and has $20,000 in savings. She hasn’t begun saving for retirement yet. Although she has enough for a down payment, investing all her savings will leave her vulnerable if an unforeseen expense occurs. The result could force her to rely on credit cards, leading to significant credit score damage. The bottom line: While a mortgage represents “good” debt on a credit report, jumping in too soon means the risk of late payments, liens and even foreclosure. These consequences can remain on your credit report for up to seven years. Do your homework on the road to homeownership. Your credit is too valuable to risk.